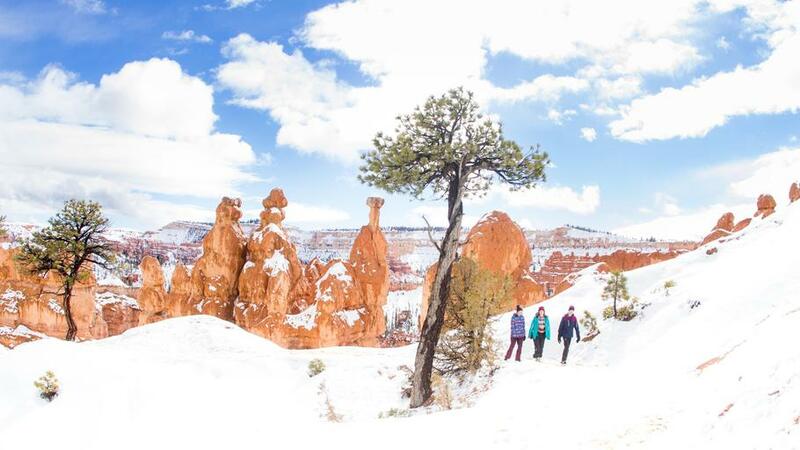 Winter in Utah is filled with many, many awesome and cool adventure options. North to south, there are endless places to explore. Red rock sprinkled with white fluffy snow is a sight everyone needs to witness at least once. During the winter months, the hustle and bustle of the ever-popular Bryce Canyon National Park is replaced with a quieter scene that is even more breathtaking. In addition to the hiking options in the Park, there is also 30 km of groomed trails for Nordic skiing or snowshoeing. Ruby’s Inn is a great family basecamp: they offer Nordic rentals, have an onsite ice-skating pond, and of course, an indoor swimming pool. 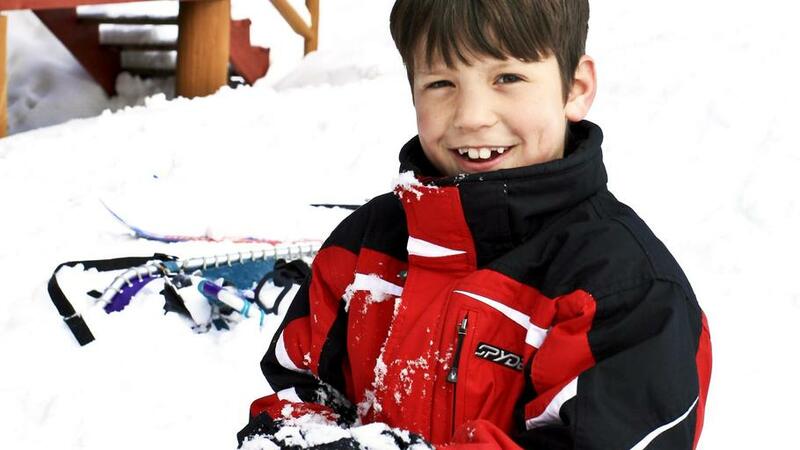 Kids and dogs are a no-brainer…but add a sled, snow and speed to the mix and you have a huge win. Park City has two options for checking this off the bucket list. 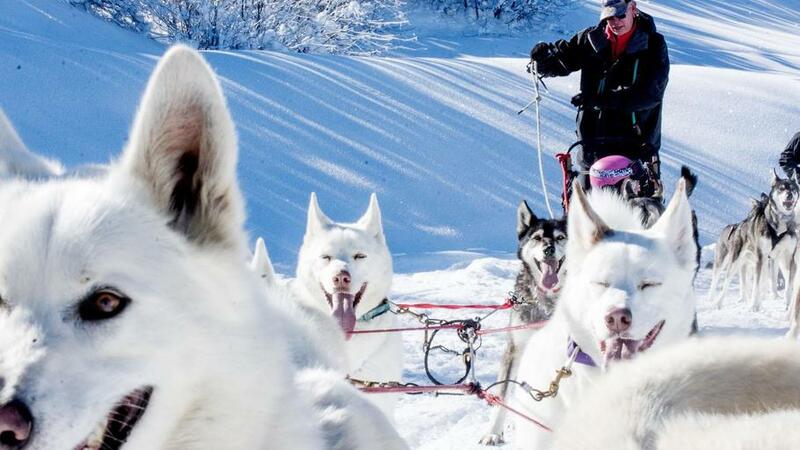 All Seasons Adventures and Luna Lobos can provide an unforgettable experience, as the team Huskies whisks the sled through the beautiful and pristine snow-covered meadows. If you are looking for a high elevation winter retreat, head to Red Canyon Lodge in the Ashley National Forest. Think wood-stove-heated cozy cabins nestled between snow covered pines and high mountain ponds. Pack your snowshoes and Nordic skis to enjoy the miles of groomed trails just outside your door. Oh, and the cabins are dog friendly! Colorful balloons filling the skies of some of Utah’s best red rock vistas is a sight for all to witness. 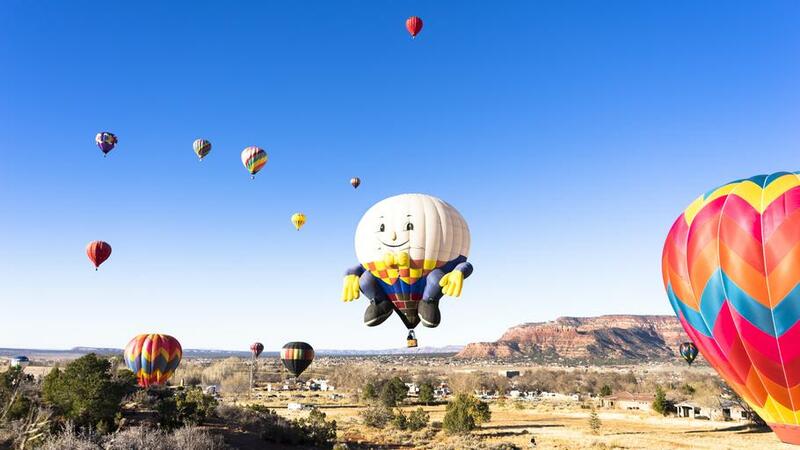 The Kanab Balloons and Tunes Festival (Feb 15th-17th) is a jam-packed weekend of family fun, featuring everything from live music to a street fair. The highlight of the Bluff International Balloon Festival (Jan 12th-14th) is the morning balloon launch in the remote and stunning Valley of The Gods. The festival activities include a chili and ice cream social and an evening balloon glow. Not only can you walk, slide and play in the magnificently sculpted ice, but you will be entertained by a fire show and magical ice princesses. 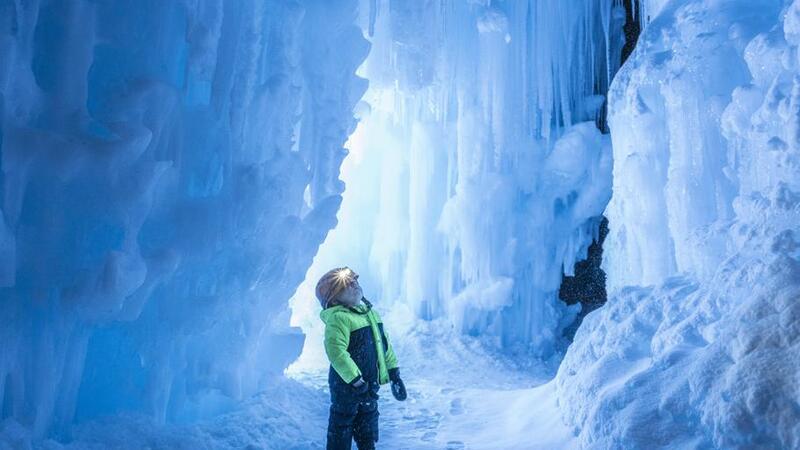 Visiting the Midway Ice Castles is sure to become a winter family tradition. Did you know Utah is home to 8 National Monuments? 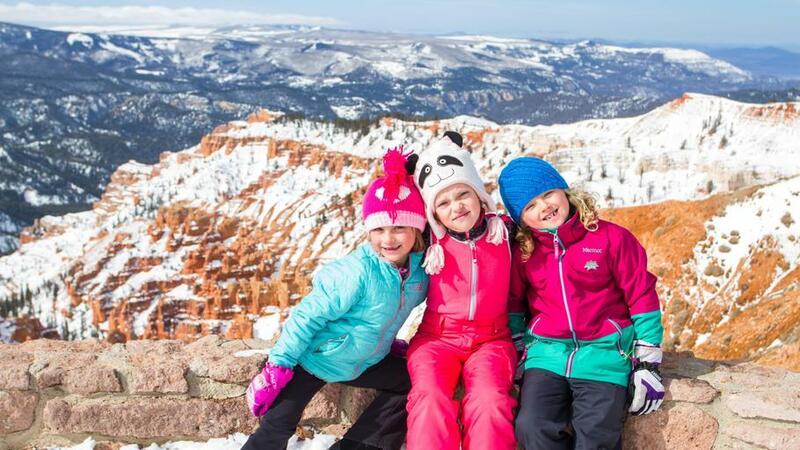 One of our favorites to visit in the winter is Cedar Breaks National Monument. Located just three miles south of the Brian Head Resort, this bucket list destination sits at over 10,000 feet in elevation. The pristine groomed trails for Nordic skiing and snowshoeing offer breath-taking red rock vistas of this awesome national monument. Hardware Ranch Wildlife Management Area is located in Blacksmith Fork Canyon, about 15 miles east of Hyrum. Annually the area sees about 500-600 wild elk, who have been coming to this area to feed during winters since 1945. Open to the public Friday-Monday for Wagon rides and elk viewing. 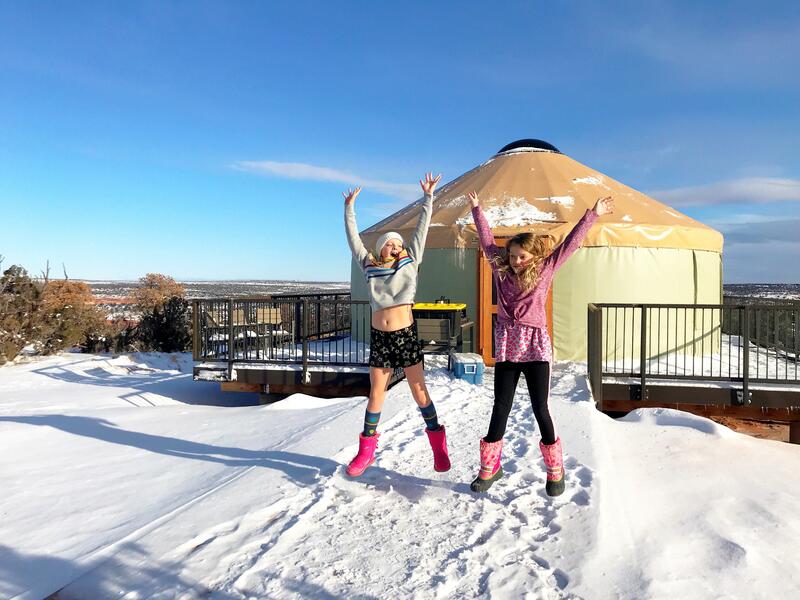 Camp in A Yurt Whether it’s your first winter yurtin’ experience or you’re a seasoned yurter, there are many options. 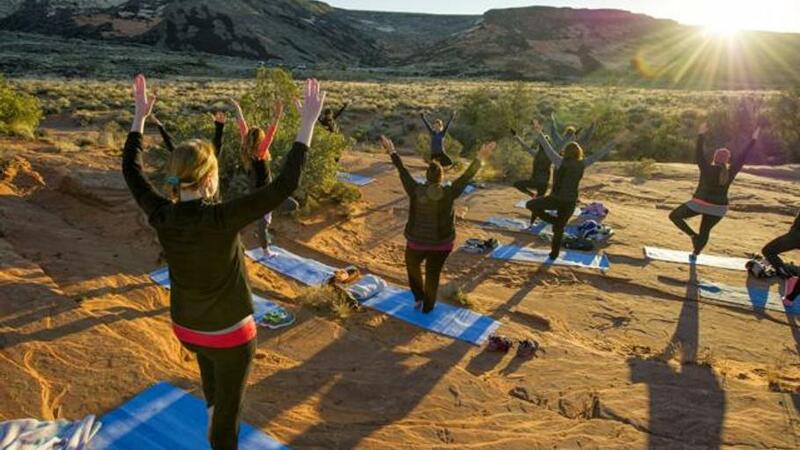 4 of the 44 Utah State Parks offer Yurt camping year-round; Northern Utah options are East Canyon and Rockport and in Southern Utah yurts are found at Goblin Valley and Dead Horse Point. For the more adventurous yurter, head to the Uintah National Forest. As parents, we sometimes forget and neglect to take time for selfcare. It is so important that we make it a priority to fill up our tank so that we can take care of our family. If our tank is always running on empty, it’s impossible for us to give what we don’t have. Make a commitment in 2019 to schedule time for yourself, whether it’s just an hour for a walk, a day retreat or a long weekend getaway. An investment in yourself will be one that you definitely won’t regret. Join the Wild Women Tribe for an empowering wilderness workshop. Founder Renee Huang has a passion for connecting and inspiring women through shared authentic experiences in the outdoors. Each Wander, as Renee calls them, has a specific focus. In January the theme is Intention and how to stay motivated and on track with our goals, and in March, she takes us on a journey to examine our internal beliefs.